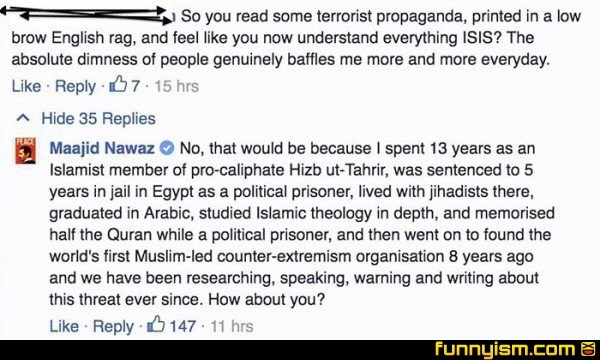 Maajid Nawaz is a real gem. It's extremely telling that he gets labeled an islamaphobe. The good guys like him seem to be fighting a losing battle. @Victoura56, the oh so rare 4th degree burn.